A growing number of enterprises are running applications in the cloud for production needs, while also running the bulk of their applications in physical data centers. 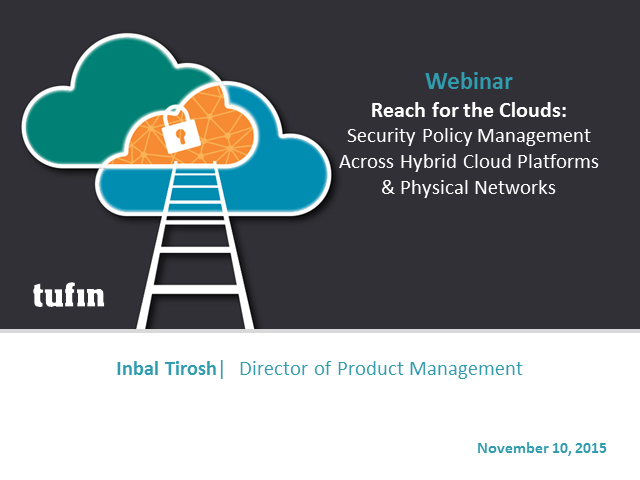 Join our webinar to learn how to effectively manage Security Policy across hybrid cloud and physical networks. In this session we will share the key challenges that our customers experience when migrating workloads to the cloud, as well as methods to mitigate these challenges.